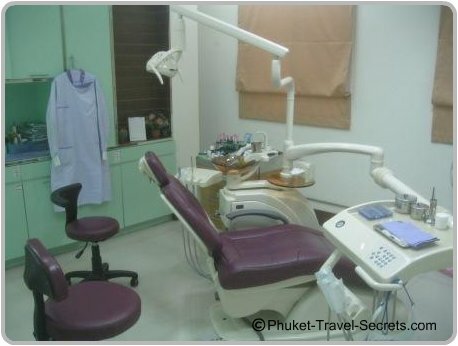 Which Dentist in Phuket do you choose? There are so many dental clinics to choose from, as well as lots of online recommendations from other visitors that have had dental treatment abroad that it all becomes confusing and too hard. You can do what we did and that was research lots of different dentists in Phuket online, and yes we got totally confused with information overload. In the end we gave up looking and put it into the too hard basket. A couple of months later we received a call from a long term friend, that told us that she had not long returned home from Thailand and that while on holiday her and her husband had major cosmetic dental surgery in Phuket. My friend was so happy with the dental treatment that they had received; we decided to re-look at having dental work done ourselves. We took our friends recommendation highly as she was not only extremely happy with the dental treatment that they had received, but she has also worked as a dental nurse in Australia. With our search for a dentist in Phuket over, we decided to book our flights and our first couple of night’s accommodation close to the dental clinic. We arrived in Phuket on a Friday evening, and checked into our room and headed down the road to locate the dentist. The clinic was no more then a five minute walk from our hotel. The following morning we went back to the Dentist Dental Clinic to make our appointments, the receptionist was very professional and friendly and the dental clinic looked very clean and welcoming. The initial consultation with the dentist was a general check up and clean. The dentist found that I needed 2 tooth fillings and he also x rayed a tooth that I had previously had root canal treatment on, in which he found was abscessed. My husband needed just one filling and all were done on the one day. The dentist explained to me about the tooth that he had x rayed and recommended that I see his specialist to have further root canal treatment. Out of curiosity I asked the dentist for a quote mainly to see what the cost would be for cosmetic dental surgery to close in a gap in my front teeth. He advised me that he would get the specialist to do the quote but his main concern was to get the root canal treatment done to remove the abscess and a partial denture to prevent any further problems with my bite and wearing of my teeth. Later that day we went back to the Phuket Dentist Dental Clinic for my appointment to see the specialist. After the specialist had looked over the x ray she confirmed that I would have to have root canal therapy on my tooth again. As well as the possibility of having a post put into make the tooth stronger before she put on the crown. We spoke about the crown and on further examination the specialist and the dentist both recommended that I get four cosmetic dental implants or a partial denture to prevent any further problems with my bite. If I decided to go with a partial denture the specialist recommended that I would have to have the back two molars crowned to strengthen the teeth for the plate to attach to. The Specialist gave me a quote for the dental treatment plan that was necessary and another quote if I wanted to have further cosmetic dental surgery to close in the gap. The specialist explained to me the procedure of having cosmetic dental surgery and the process of a tooth implant and what it involved. The whole dental treatment plan consisted of 11 dental crowns and a bridge along with root canal treatment, all of which could be completed in the time frame of our 3 week stay. At no time did I feel that the dentist or the specialist were trying to sell me something that I didn’t really need, they just wanted me to have the dental work done that was essential. 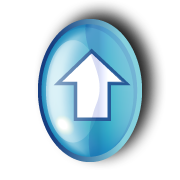 I thought about what was involved and decided to only have done what was really needed. Once I had decided on my dental treatment plan, the specialist and the dentist worked out my appointments for my procedure, which was great as we were then able to plan our holiday in Phuket around my dentist appointments. The following day I had root canal treatment, which to my surprise was relatively painless and all done in one treatment, unlike what I had previously had at home which consisted of many return visits to the dentist. Three days later I was back to have my teeth cut down and impressions taken ready for the dental crowns. Two and a half hours later I walked out with temporary crowns, which would stay there until my permanent crowns were made. A couple of days later my permanent dental crowns were ready to be fitted and with the crowns in place I then had to have more impressions done for the partial denture. The partial denture was made in Bangkok and I had it fitted a week later, two days before we were due to fly home. Over the three weeks we spent in Phuket, I only had five dentist appointments at the Dental Clinic. The longest appointment was two and a half hours and the other appointments were no longer then an hour which allowed us plenty of time to enjoy our holiday and do the things that we wanted to do. 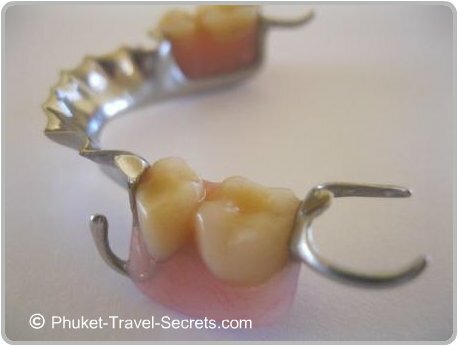 The whole process of seeing a dentist in Phuket was straightforward and trouble free. Prior to leaving I had read that you had to take your own x rays with you, but this is not so. The dentist in Phuket will take x rays as they need them throughout your treatment and at a fraction of the cost back home. If you are thinking about combining a holiday and taking advantage of the affordable dentistry available in Phuket, we can highly recommend the professional and friendly service we received from the Dentist Dental Clinic. We are both extremely happy with the dental treatment that we received from our dentist in Phuket and will return to have another dental check up during our next holiday. Disclosure: We do not receive any payment or commission from Phuket Dentist Dental Clinic, our recommendation comes from the honest and professional service they provided.